We'll be flying south soon for our annual winter vacation. So in honor of Rae's KNITerview series, I thought I'd put together a little tute for some knit kid shorts. Now if you read my KNITerview, you'll see that in my humble opinion, the easiest way to sew knits is on a serger. 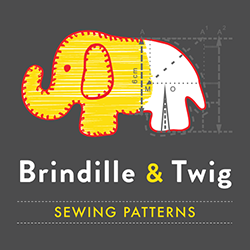 But, there are tons of resources out there for sewing knits on your standard sewing machine. And most people, other than me, do this with great success. Here's a great post at Prudent Baby. I'm calling this a mini-tute because I'm not going to show you how I made my pattern. Dana over at Made has a great tute for this. On to the shorts. I made my pattern from shorts that fit my daughter. Lay out your pattern and cut 2 front pieces and 2 back pieces with your fabric folded. For these shorts I used about 1/2 yard rib knit I bought at Joanns. Rib knit has a nice stretch and is a good medium weight. You could also use interlock or a thrifted tee. Sew the back to the front (right sides together) at the crotch and on the sides for both legs. Turn one leg right side out and insert into the other leg, with right sides together. Sew from one arrow to the other. Turn right side out. Super easy and almost done. 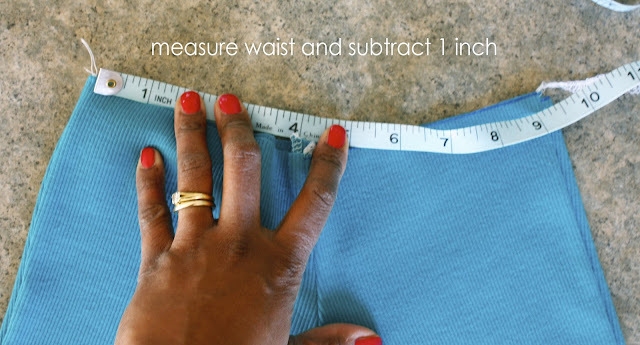 Measure all the way around the waist and subtract 1 inch. Mine were 18 inches around, so I cut a waistband that is 17" by 3 inches. Sew the short ends together. 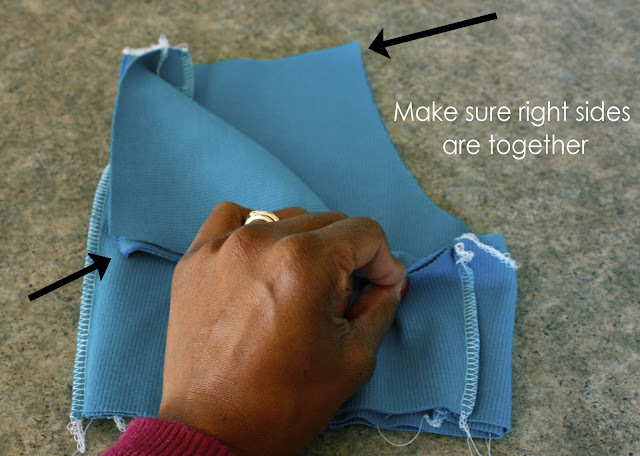 Fold in half with the seam on the inside and iron. Mark the center on the front and back, and side. 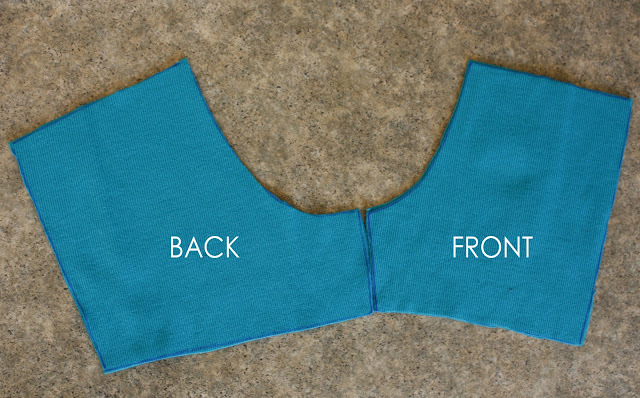 Match your marks with the side and center front and back seams. Your shorts will be wider than the band. As you sew, stretch in between the marks to make the band fit. Now you just need to hem, and you're done! For these, I did a lettuce edge on my serger. From an Igloo has a nice tutorial showing how to do this without a serger. Or you can just do a regular hem. Now we're ready for our winter getaway, though it hasn't really felt like winter here. Hope you're enjoying the winter where you are. I was led to your blog by Rae's knit interview. I love your work, and I've had fun looking over your creations (and your cute kiddos). I too am a sewing mama who works and tries to squeeze sewing into the late-night hours when everyone else is sound asleep. I'm always inspired when I find others who are doing the same, so thank you for sharing! got here from MADE. I have a question for ya. I just started working on a serger and was wondering what settings did you use for this type of fabric? also do you usually use a single needle (3 thread) or twin needle to sew your projects. I'm a beginner on sergers so I need all the tips and advice I can get! thanks!